It is the ideal way to discover the unique small islands and to swim in the warm and clear waters and to anchor on each occasion and to enjoy the unique and incomparable beauties of Mediterranean and Aegean seasides. Flying fishes.. Dolphins.. Breathtaking sunsets..Nights with plenty of stars. On the way of the Blue Voyage, you will meet the freedom symphony of the sea along with the colourful seashells at each green stopping place where the mountains are covered with the magnificent fragrances of the thymes and the hidden dried mimosas among the rocks. An undescribable love combined with the nature. For all of these, you can choose one of our standard,luxury or deluxe type yachts from our fleets. If your wish we are ready to provide your transfers. In this regard, it will be succifient, if you contact the Serkan Yachting. It is succifient for you just to selct one of our Blue Tour Programs you wish to join, the remainings are our duty. 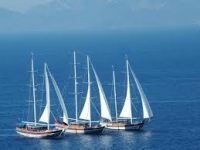 You will see in our web-site that the Blue tours, which we organize with the typical Mediterranean and Aegean schooners, have different routes. Furthermore, we have a strong opinion that you will reach to the Nirvana of the happiness experience, if you give a try to our blue voyage programs offered with alternatives through both of cabin and group sales possibilities in this sector. You have the possibility to use the advantages of the standard, luxury, ultra luxury or motor yacht options for your holidays that suits every budget. 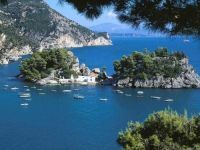 You can join to the daily yacht tours or make a Blue voyage including the Greek islands. Yu can join to the Blue tour with your friends or your employees and increase their productivities morally and gain additional moral, through hiring a private yacht. You can organize incentive tours and enrich this with Water Sports. With the help of the maps in our web page, you have the chance to view and see the region in advance, to where you will make your voyage. Yu can join to the guaranteed cabin programs to Antalya, Kekova, Antalya or Bodrum, Gokova, Bodrum located under the Routes icon. 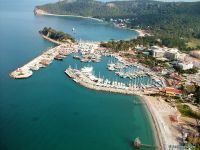 Or you can choose the programs to Olympos, Fethiye or Fethiye, Adrasan, which are relatively short programs. While enjoying the taste of the history within the remainders from the ancient ages, in the same time, you can also dive into the memories in the coves possessing the each tones of the blue. You can visit the worldwide recognized diving centers in the Kas Region and see the submarine wealth of this region and experience the privilege and pleasure of touching this wealth personally. You are in the right pages, if you want to experience the naturalness of the Ucagiz and Kalekoy, along with the untouched virgin nature. Serkan Yachting consists of an equip adopted to the principles of smiling faces, warm hospitality, cleanliness and good service, which are effective in the world tourism. While surfing on our web pages, please imagine yourself in these pictures and even only this thought will give you a warm pleasure. It would be a great pleasure for us to see you among us.